According to reports, Manchester United midfielder, Juan Mata would not be looking to leave the club despite the arrival of Alexis Sanchez. United have completed the signing of the 29-year-old Chilean on a four and a half year deal from Arsenal, meaning that a member of the United first team could find themselves on the bench. Juan Mata, the Spanish international is ready to take on the challenge of fighting for his place in Jose Mourinho’s thoughts. The 29-year-old former Chelsea star has worked his way back into the thoughts of his manager following the atrocious form of Henrikh Mkhitaryan prior to his transfer to Arsenal.Mata, whose contract runs out this summer and has been courted by former club, Valencia wants to stay and fight for his place. Skysports report that the attacking midfielder plans to stay at the club of he is offered a new contract. The club haven’t offered him a contract extension and have not exercised the 12-month renewal option on his deal like we have done for a number of players in the same situation. Mata has endured a rocky season relationship with manager, Jose Mourinho right from their days at Chelsea though he is enjoying a run of games in the first team, as he is one of the first names in the teamsheet of the Portuguese tactician. He has stated that he has no interest in going back to Spain at this time, as he is settled in England and still has a lot to offer to United. 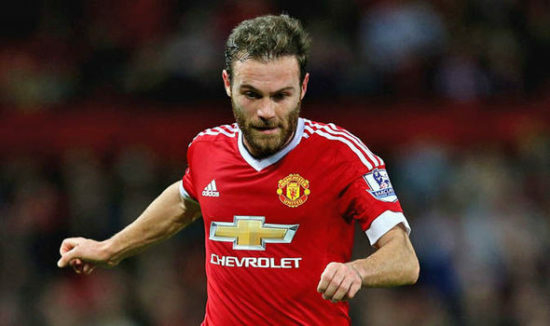 Mata is a classy left-footed player known for his creativity, vision, passing and finishing. He joined United in the winter transfer window of 2014 and has since won the League Cup, EFL Cup and The Europa League in his time in Manchester.